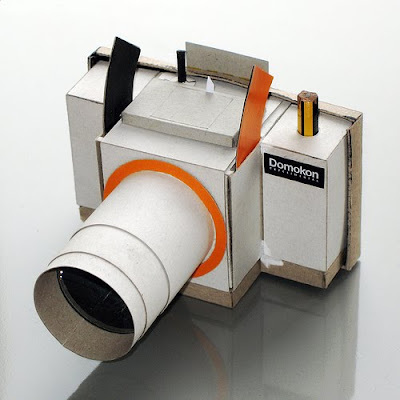 Collection of ‘Creative and Cool Paper Camera Designs' from all over the world. Paper Camera by Corbis Readymech: Print out the plans, glue the camera together and follow the photography directions on the rear. 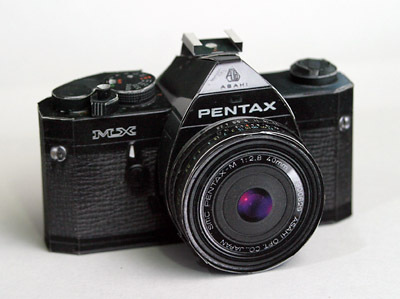 Pentax Paper Camera: This paper model Pentax camera is the most realistic paper camera we've come across. 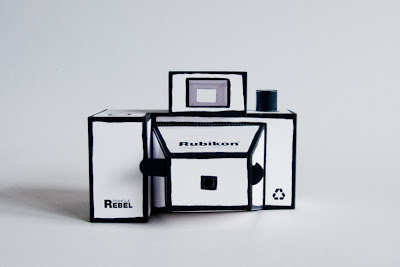 World Pinhole Camera Day: Like the other Corbis Readymech paper cameras just download, print and build your own pinhole camera. 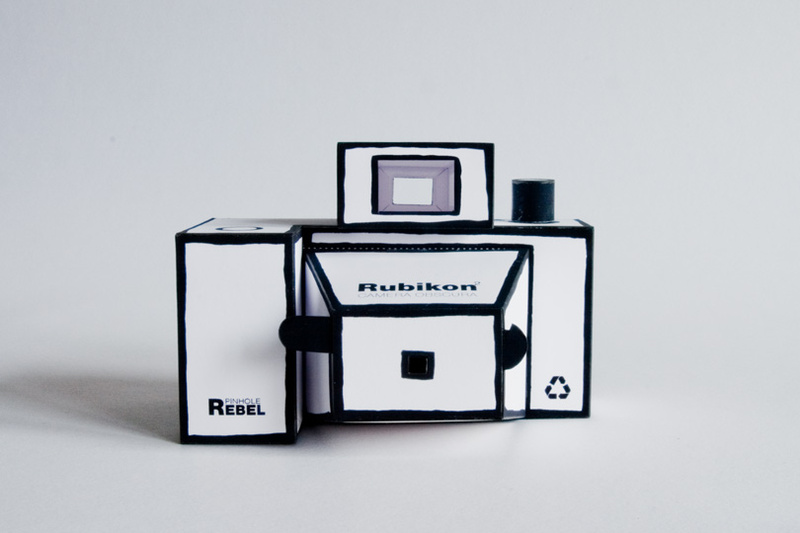 Rubikon Paper Camera: Rubikon paper pinhole camera is the creation of designer Jaroslav Jurica. 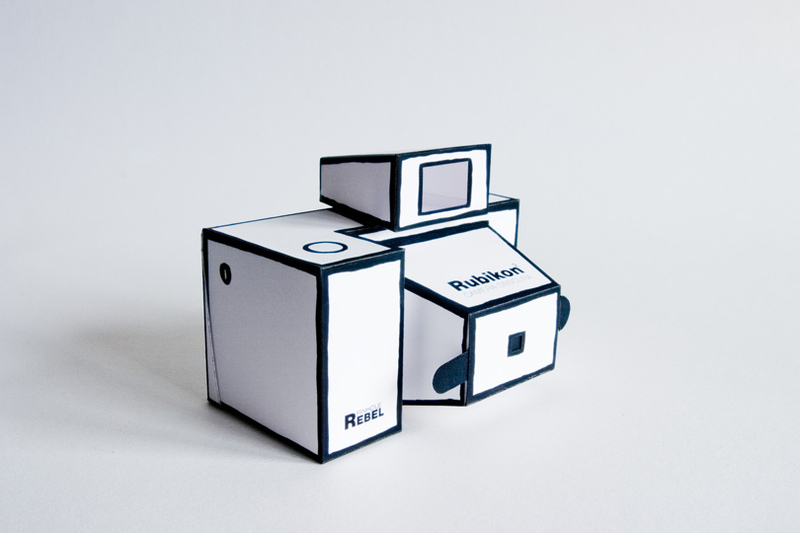 It is a paper cutout, which becomes a functional camera (camera obscura) after gluing together. Paper DIY Pinhole Camera: It's a bit more durable and flexible than most paper cameras. 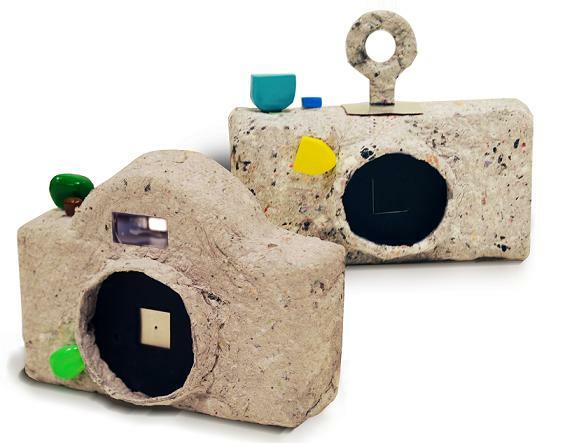 Its made of cardboard (cardboard is paper, no?) 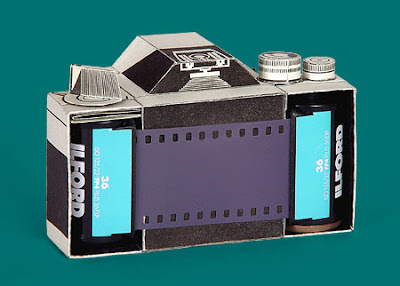 and works with a simple, sliding shutter. 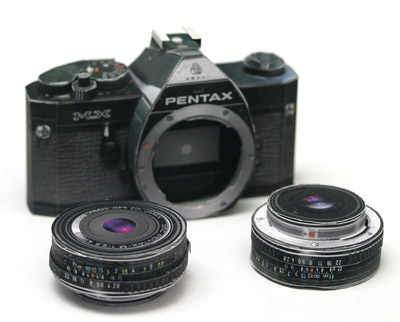 Apart from this it also features metal rolls in case you want to use 35mm film. 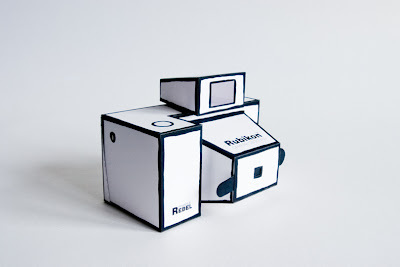 Sharan Paper Camera: "This paper construction camera is one you build yourself, and includes everything you need to put it together in about an hour, including the body pieces (paper and plastic), double sided tape and some rubber bands." 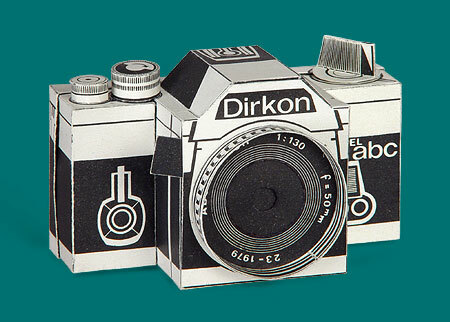 Dirkon Paper Camera: Designed for 35 mm film, this functional pinhole camera is made of stiff paper. 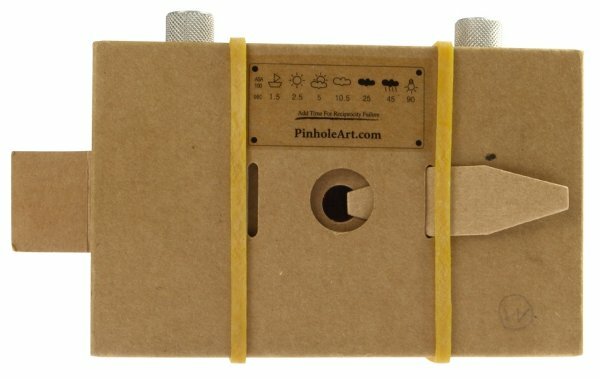 Hole-on-Ex 35mm Paper Pinhole Camera: All that's needed is bottle of glue, a ruler and a pencil to make a camera that can handle 35mm film rolls. 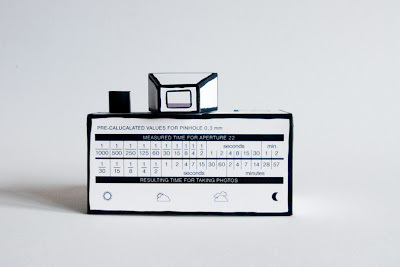 CAP Pinhole Camera: "CAP" is a pinhole camera created using recycled paper. Domokon Paper Camera: It's a single-lens reflex camera, uses standard 35mm film and you can change lenses, make aperture and DOF adjustments. 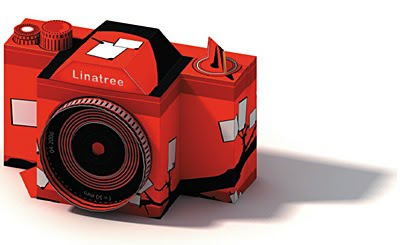 Linatree Camera: Visit the site, download it and assemble your very own paper pinhole camera.